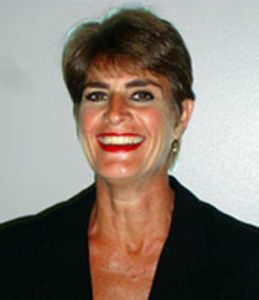 Leslie Carver transitioned on September 26, 2018. Leslie worked with Gail and Go Green Learning for over 20 years. Their long-term teamwork included many workshops and events where they co-facilitated. Leslie and Gail together developed LEADING THE WAY, a leadership workshop for seasoned and new managers to build the inner team along with the outer team. Leslie brought insight, courage, sensitivity and heart to her work. She loved working in the business world, working with clients to find their way through conflicts and challenges using her trademark humor, insight and power. Leslie showed tremendous focus in her life. She worked with Go Green Learning and with her clients with this laser-like vision to call out the individual. She focused on business and the person and through her focus on the individual, was able to bring through joyful solutions to many a gnarly situation. She will be missed by all who worked with her. Her contribution will continue to encourage the people she touched on their unique brazen path. While we are sad she is gone, we celebrate her lasting qualities that will endure; beauty, awareness, lasered wisdom, and ohhh so funny!! A life embodies many qualities and words can capture but a few. We would like to express the feeling, passion and focus in Leslie’s life to celebrate the life she lived. If you would like to write something about Leslie and how she touched your life, please do so here.